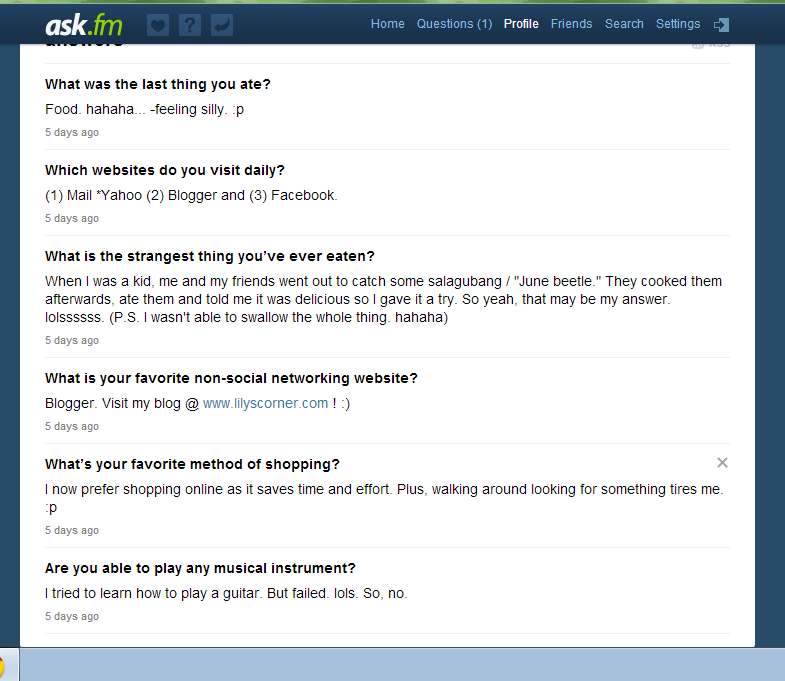 Home » Ask.fm » personal » Ask me Anything! I have created an account at ask.fm so people can ask me anything under the sun (and moon as you please!). If you guys have some questions that you're dying to ask (lols) me, just hover your cursor over here and follow the link: http://ask.fm/iamwaterlily. Promise, I'll try to answer your questions honestly and as soon as I can. These were random questions on my dashboard and I know how silly my answers were. My account is new so pardon me if my profile looks boring and cold. Start asking questions now so I'll be more motivated to fill this part of the internet up with random farts of my brain! Thanks!